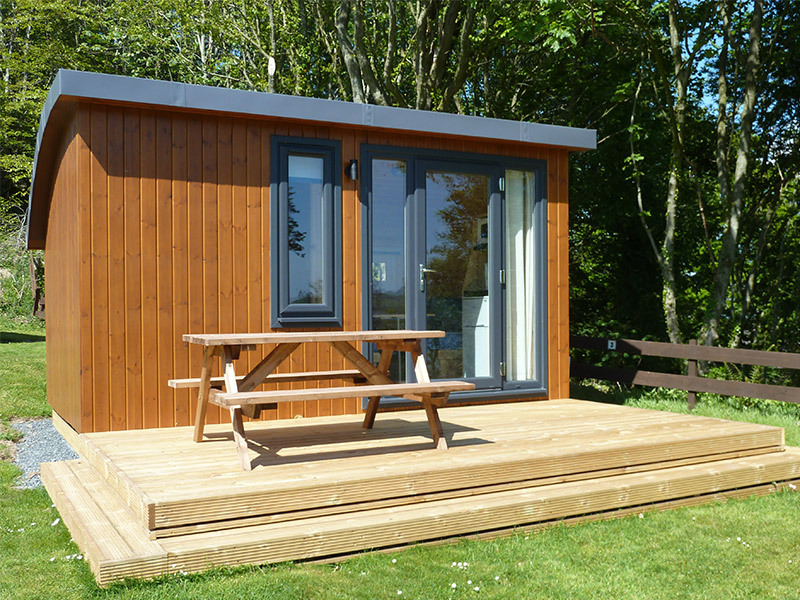 In 2015 we introduced glamping mini lodges to let on the park. They sleep up to 4 people. 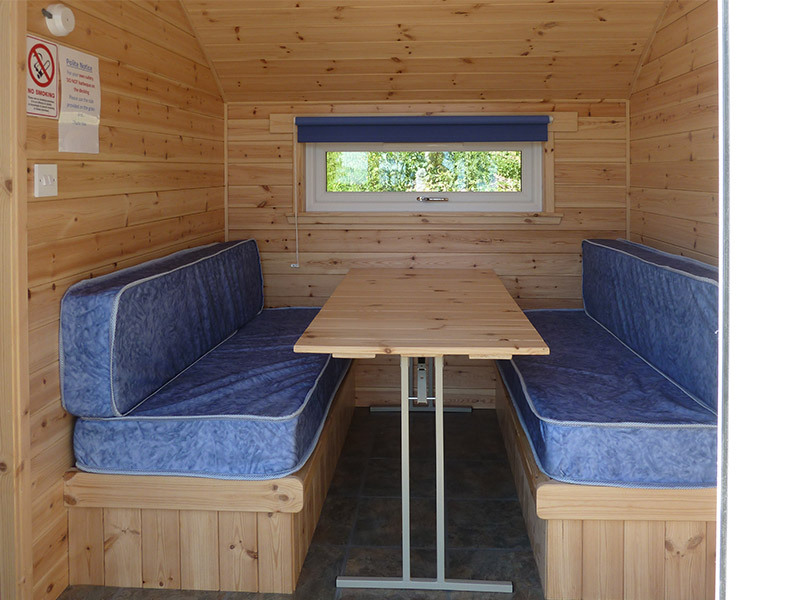 These glamping units provide the comfort and freedom of camping without the hassle of bringing a tent. 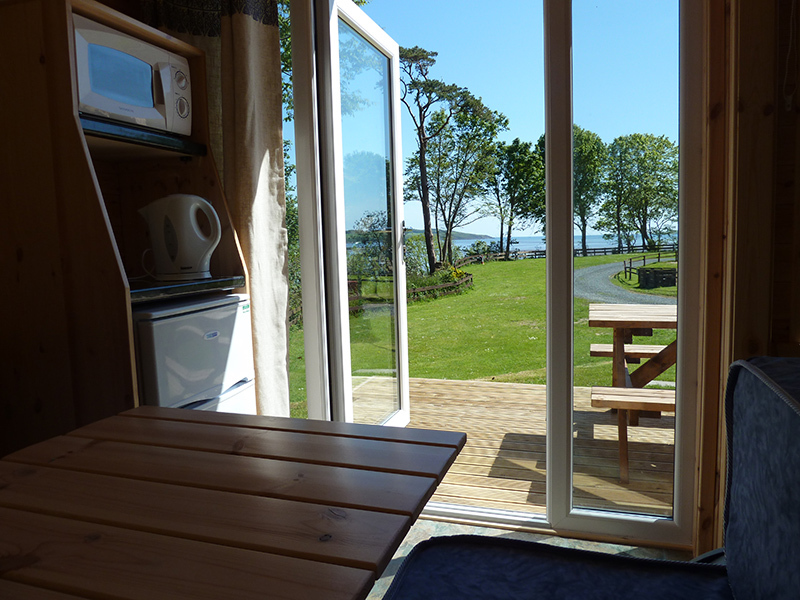 Their location on the park to allows our customers to enjoy the sea views over Kirkcudbright Bay. 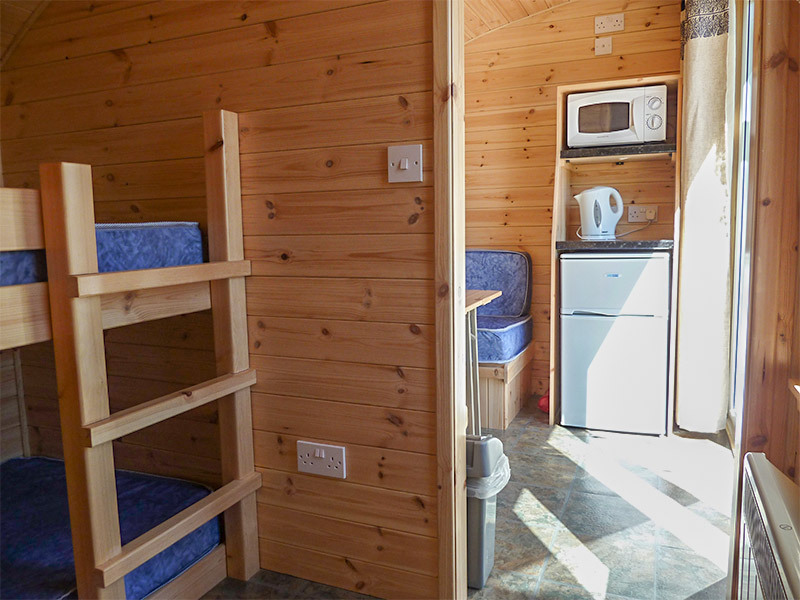 Each unit has a fridge, microwave, kettle, a dining area which converts into the double bed sleeping area and a separate bunk bed sleeping area with foam mattress. Outside there is timber decking with picnic furniture and alongside parking space for your vehicle. We ask our glamping visitors to stay a minimum of two nights. Please remember to bring your own bedding, towels and tea towels. No smoking is allowed. The mini lodges are pet free.